WV Lions Youth Exchange Committee is seeking families to host a foreign exchange student. The exchange students' stay will be from late June to the beginning of August. Exchanges last for approximately 4-6 weeks and can be arranged to various countries throughout the world. The purpose of these exchanges is to provide our youth a chance to visit a foreign country and experience a different culture. Any youth between the ages of 16 and 21 is eligible to apply, with the approval of a local Lions Club, to become involved with the Youth Exchange Program. Cost involved in the program includes the cost of travel, plus desired spending money. The host family provides room and board. Six $1,400 travel grants will be awarded for travel in the summer of 2018. To become involved in the exchange program please contact one of the committee members. Host families are expected to provide comfortable room and full board for their exchange son or daughter. It is expected that the youth will be treated as a member of the family and not as a tourist or special guest. 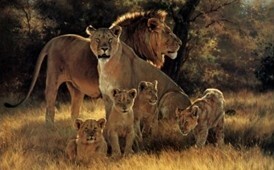 It is hoped that they will be shown local attractions and be included in family and special outings, especially those organized by host Lions, Lioness or LEO Clubs. Host families are asked to include their host sons and daughters when allotting household chores and responsibilities, but not beyond what a natural family member would be expected to do. As Lions Youth Camp and Exchange is a cultural exchange, visiting youth may want to attend school on a regular basis. It is acceptable to arrange a visit to a local school, but not to enroll them as a student. Schools in WV have regulations regarding exchange students, and the Lions Youth Camp and Exchange Program is not an academic exchange program. Sponsoring Lions Clubs are available to assist if there is a problem, and frequently bring host families together to arrange joint outings.